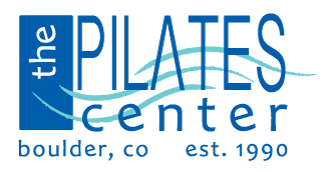 Deborah Eve Feldman is a Master Teacher Trainer for The Pilates Center of Boulder, CO, (“The Harvard of Pilates”). In addition, she was comprehensively certified in Pilates through Long Beach Dance Conditioning (Marie Jose Blom,) in 2004. Deborah discovered Pilates as a professional dancer in 1990, with Elizabeth Larkam and Mercy Sidbury at the St-Francis Center for Sports Medicine. In 1996, while teaching, choreographing and dancing for different companies in Tucson, AZ, she was recruited to teach Pilates by Jennifer Pollack, director of NEW ARTiculations Dance Company and Pilates Studio Owner. Deborah bought the studio and enjoyed a successful business until she moved to Cambridge MA in 2005. In Cambridge, she taught in her own studio, “Cambridge Pilates.” In addition, she instructed and developed the Pilates Program at The Wellbridge Athletic Club in Harvard Square for 5 years. She later founded Pilates Centre Montreal, teaching Pilates instructors, professional dancers, as well as training teachers. Deborah has trained several instructors over the years, all successful and reputed. She now lives in Southern Florida, teaching and developing Pilates programs for the Country Clubs, (currently Jonathan’s Landing and Jupiter Hills Club,) in addition to training teachers and clients out of her home. From the age of 14, Deborah consistently studied optimal human Movement from Authentic Dance forms to Alexander Technique, Simonson, Feldenkrais, Body Mind Centering, etc. She is always eager to grow and enhance her ability to facilitate health and well-being while focusing on the Classical repertoire of Mr. JH Pilates. In summary, Deborah brings 30 years of comprehensive experience as well as her profound love of Pilates to every lesson and person she has the privilege to work with. Cindy Freeding was a professional dancer with The Benny Smith Dancers in San Francisco, California (studying tap, jazz and ballet), until a knee injury forced her to retire at 27 years old. She then focused on a legal career. While attending her first year in law school, her life suddenly changed! An auto accident left her in pain for the next 10 years. After struggling with pain, depression and frustration in her attempts for relief, Cindy found her way to Pilates for rehabilitation. Within 3 months of doing Pilates she was pain free and set a goal to become an instructor and open her own studio. Her passion for Pilates enabled her to graduate from The Boulder Pilates Center Teacher Training Program in 2004 and open â€œPilates Movement for Lifeâ€ in Arvada, Colorado, where she continues to teach physical conditioning and post-rehabilitative Pilates. Her quest for knowledge and training skills is ongoing through continuing education classes.